The separation phenomenon in parabolic nozzles has long been studied in detail and is well documented. The parabolic nozzles are normally being operated in those regimes of pressure ratios where separation does not occur. However, during the start-up and shutdown transience, the operation of the nozzles inherently falls in the separation regimes due to the lower total pressures they experience. The present work is an attempt to study the shock structures in a thrust optimised parabolic (TOP) which occur during the separation process in nozzle and its interaction due to which either a free shock separation (FSS) or restricted shock separation is observed (RSS). The hysteresis of FSS↔RSS transition during the start-up and shutdown transiency is also studied. 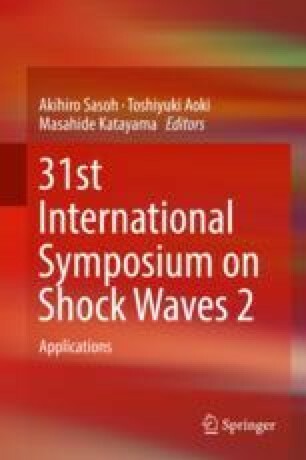 A complete transient analysis on shock structure interactions in 2D axisymmetric TOP nozzle of area ratio 36 was carried out, and the results were used to interpret the shock interactions, separation patterns and hysteresis effects.